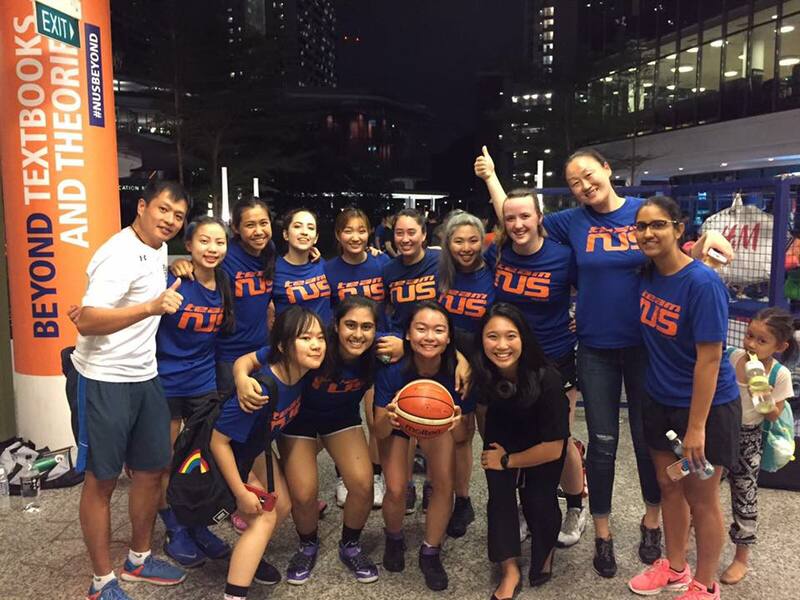 In a first for Yale-NUS Basketball, the women’s team was crowned the Inter-Faculty Games (IFG) Champions, edging out the Faculty of Science by 34-40, amidst a roaring crowd of supporters. It was a close match, with Yale-NUS holding a lead of just 2 points at the start of the final quarter. “It was an intense game, it was definitely the most stressful hour of my life, but it was a lot of fun,” Fiona Freeman-Grundei ’20, the captain of the team, said. “I am so proud of every player on my team and I feel so lucky to get to play and make history with them.” She also said that it was an incredible feeling to be supported by such a wonderful community. The support from the Yale-NUS community was evident by the size of the crowd at the IFG finals, with many students taking time off their busy schedules to be at the event. Anthea Chua ’20, a member of the audience said, “YNC really showed up in full force, (the hall) was so crowded with YNC people.” Vivien Su ’21, a member of the team, said that the crowd was amazing and that she enjoyed the level of school spirit and support during the match. The basketball team after the finals. Li Ling, Manager of Athletics at the college also said that she was very happy and proud to have watched them grow from a team that didn’t even have enough players to play, to the full-fledged IFG champions they are today. Other than the basketball team, the Road Relay and International Chess also clinched gold medals at this year’s IFGs. This year’s IFG season came to an end on Sept. 22nd with the medals given out at the NUS University Sports Center. Overall, Yale-NUS College finished sixth out of eleven faculties.